A comprehensive checklist to finding a qualified service provider for uninterruptible power supply systems. NEW YORK, September 24, 2018	(Newswire.com) - Uninterruptible power supply (UPS) systems are designed to keep businesses up and running when utility power is disrupted. According to Nationwide Power™️, one of the most common and costly misconceptions with UPS equipment is that it requires little to no maintenance. The second most common and costly misconception is that all service providers are created equally. 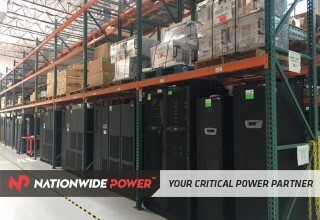 Nationwide Power Solutions, Inc. is the leading independent provider in critical power and uninterruptible power supplies, and has designed the following checklist to help guide others through the process of finding the right UPS service provider. Which UPS brands does the service provider sell and service? If the service provider only sells and services a limited number of brands – or just one brand – they will often be less equipped to provide customized recommendations based on the individual client's needs. What type of on-hand inventory does the service provider house? Some independent providers merely act as middle-men with very little warehouse inventory, or none at all. There are also independent providers that resort to storing their inventory in outdoor areas where equipment and parts are subject to whatever weather conditions exist throughout the year. Look for a company with ample parts and equipment inventory on-hand that are properly stored to ensure lasting quality. Additionally, for UPS equipment that is approaching or has passed EOL (end-of-life) recommendations, ask specifically what parts that company has available to service that specific equipment. The most cost-effective solution may be part replacements. However, if the service provider does not have access to those parts, they will recommend new equipment despite the client's best interests or budgetary needs. The strongest level of protection for any UPS system includes a full-service contract. 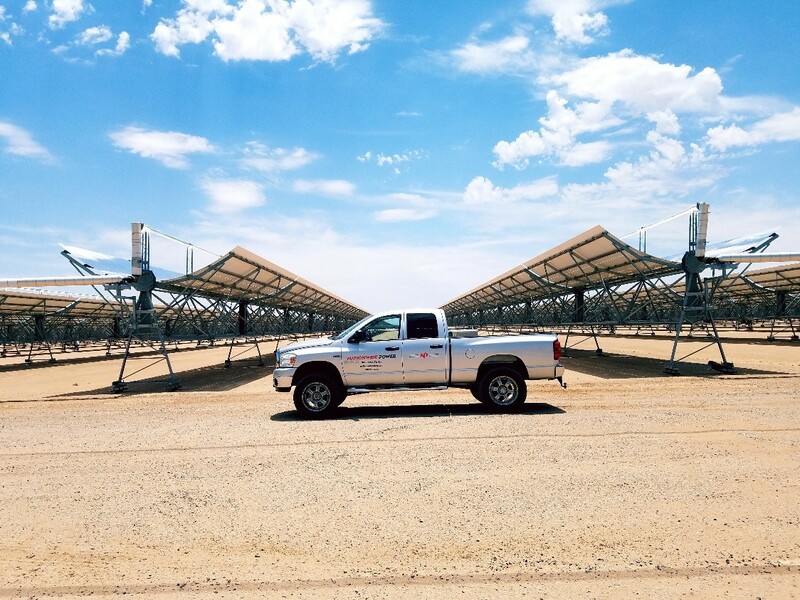 In the event of an error or system failure, with a full-service contract, the provider will arrive on-site and complete all diagnostics and repairs at no additional cost. In many cases, a full-service contract has the potential to save tens of thousands of dollars and has the ability to extend the life of UPS equipment beyond the OEM recommended end-of-life. Even for companies that are not interested in taking advantage of a full-service contract, knowing the service provider can offer that option provides confidence that they have the inventory, supplies, and expertise to fix the UPS unit if and when it fails. Service providers who do not have those capabilities may jump straight to selling new equipment over helping their client repair an otherwise functional unit. What is the average experience of the Field Engineer team? A reputable and qualified service provider should have direct OEM experience with all the major brands they service and a strong history of industry work experience. Because of all the unique and unpredictable situations that can occur with UPS equipment, hands-on industry experience is truly the best form of training. 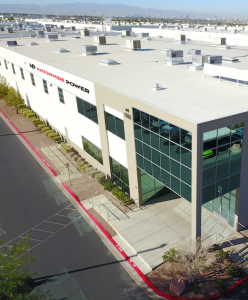 While Nationwide Power boasts an industry-leading 20+ years of industry experience, they recommend no less than 10 years of industry experience when shopping for a UPS service provider. How many Field Engineers are physically located in the client's service zone? An emergency situation with any critical power system requires immediate attention. 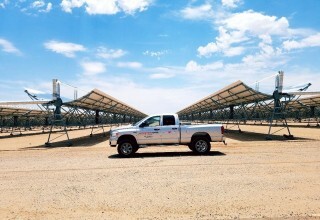 How quickly can a Critical Power Professional™ arrive on-site? Believe it or not, some companies will position themselves as having a national footprint, only to fly their Field Engineers across the country. Not only is this an expensive way to provide preventive maintenance, but it becomes nearly impossible to respond to emergency situations. What is the service provider’s client retention rate? In other words, how many customers are loyal to that service provider year after year? This may be the single best way to gauge the level of quality and follow through offered by the service provider. What is the average utilization rate of the Field Engineer team? Are the Field Engineers going to show up to a site worn out, exhausted, and looking to complete the job as quickly as possible? Unfortunately, many companies are well over 100 percent on utilization rates. The result: Field Engineers are focused on quantity over quality and will have a higher tendency to miss the critical and sometimes tiny details. Take a look at this example of poor workmanship on a Mitsubishi 2033D 30kVA UPS Battery Maintenance, which we can only presume is an aftereffect of overworked technicians. What is the “out-clause” in the service agreement? A reputable and qualified service provider understands and is confident in the value of their service, and therefore does not lock customers into iron-clad, long-term contracts. If a service contract does not have a 30-day out-clause, keep looking. Google map the business address to verify it is a legitimate commercial building capable of storing parts – not a PO box, home address, or small business suite. What type of loading dock does an aerial map show? UPS equipment, parts, and batteries are quite heavy. The lack of a loading dock is a telltale sign of trouble. Request pictures of the warehouse and inventory or better yet, request a physical tour. Finding the right service provider can be just as important as identifying the right UPS system. Companies invest tens of thousands of dollars, or more, into their critical power equipment. Cutting costs or corners on preventive maintenance and emergency service contracts can drastically impact the overall life and performance of those systems. 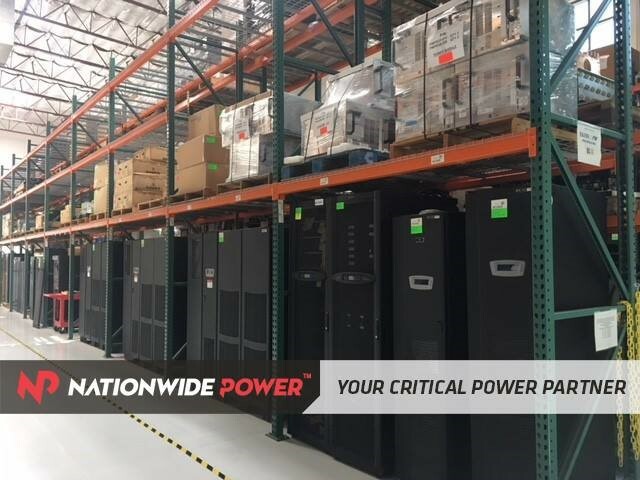 For additional information on how the quality of a UPS service provider can directly impact the long-term cost to the client, visit Nationwide Power's Critical Power Case Studies. Make the right investment going forward by finding the best UPS service provider. 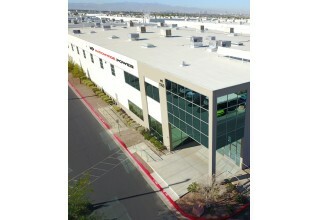 To learn more, visit www.NationwidePower.com. With hundreds of UPS equipment options on the market, ranging from manufacturer, model, kVA size and more, Nationwide Power names the Eaton 93PM the most versatile UPS of 2019. Earlier this month, Nationwide Power hosted the 2019 Power Summit, where team members, vendors, and OEM partners flew in from across the country to talk critical power infrastructure. Nationwide Power Continues to Expand, as They Welcome William Thom as the Newest Member of the NP Family. As the leading independent service provider for UPS equipment, service and batteries, Nationwide Power has a presence in the contiguous U.S. and all major metropolitan areas, offering a 4 hour average response time or less throughout the country.